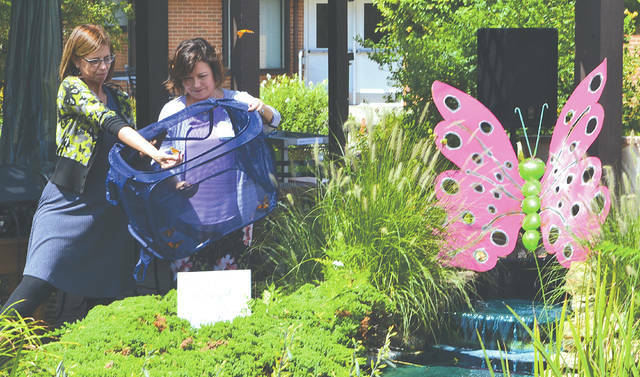 Tonya West, director of resident services at Mercy Health McAuley Senior Living Center, and Jessica Pettit, director of volunteer and auxiliary services at Mercy Health Urbana Hospital, release 12 Monarch butterflies into the courtyard of the Senior Living Center on Wednesday. 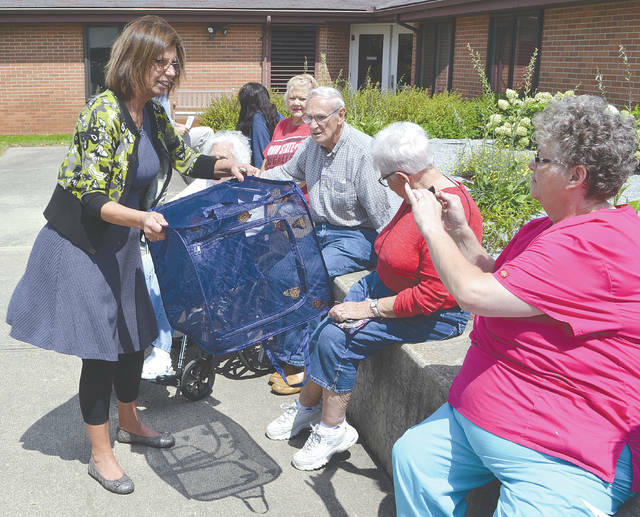 Tonya West, director of resident services at Mercy Health McAuley Senior Living Center, displays 12 caged Monarch butterflies to about 35 residents and staff before releasing them at the 10th annual butterfly release on Wednesday. Then each resident was given an envelope containing a Painted Lady butterfly to release in the courtyard. Prior to the release, Chaplain Ray Branstiter related a Native American legend that says a wish made when giving a butterfly its freedom will be taken to the heavens and granted.